Sign Up Now to Chat in 3D! 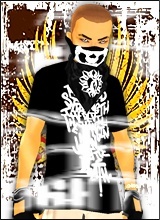 to best view this IMVU home page. If you ain\'t wit me, den you against me. EIGHT08 has no special someone. Don't miss out on visitors who come by to check you out. As a VIP, you can start making valuable connections today!